I otter be able to come up with a clever caption for Mac’s thread pic, but I cannot. It’s about damned time American Jooos started getting uppity re that bint; moar, please. 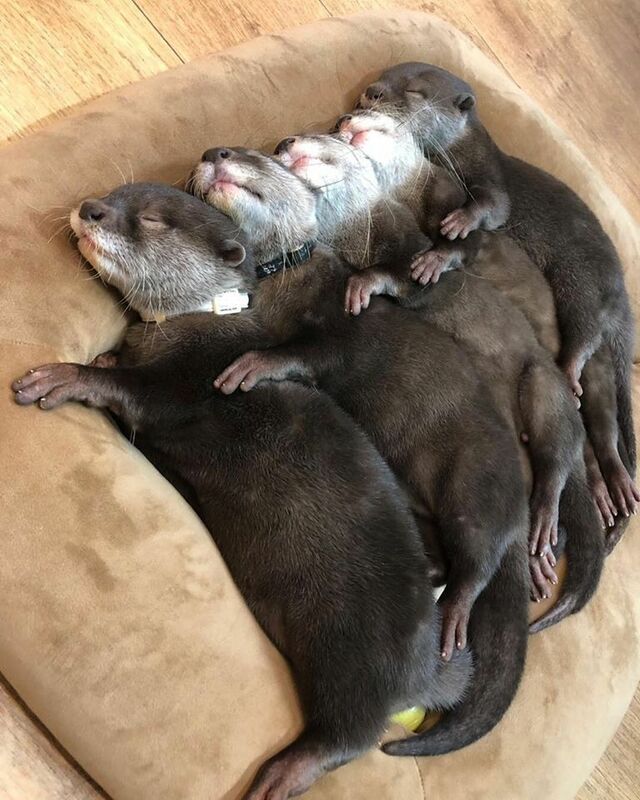 A nested array of otters -- what a cute way to start the day! Fatwa -- I agree in re the protest against Omar. I’m sure most of the media will boycott coverage of the protest. The police had several streets in that part of Woodland Hills blocked off yesterday. WH always had a high percentage of Jewish people living there and I hope that’s who showed up to protest as opposed to just MAGA types. Gateway Pundit has video and some speech transcriptions. I see that Moses the Comedian performed at the fundraiser -- I’d love to hear his routine -- what do Muslims find funny? Actually, Moses doesn’t seem that bad. Well this can’t be right: no collusion??? So the Russians attacked the DNC and Clinton computers during the election and released the information they were able to steal -- and who was POTUS at that time his response was what? Seems like if you want another investigation, that might be a good place to start.